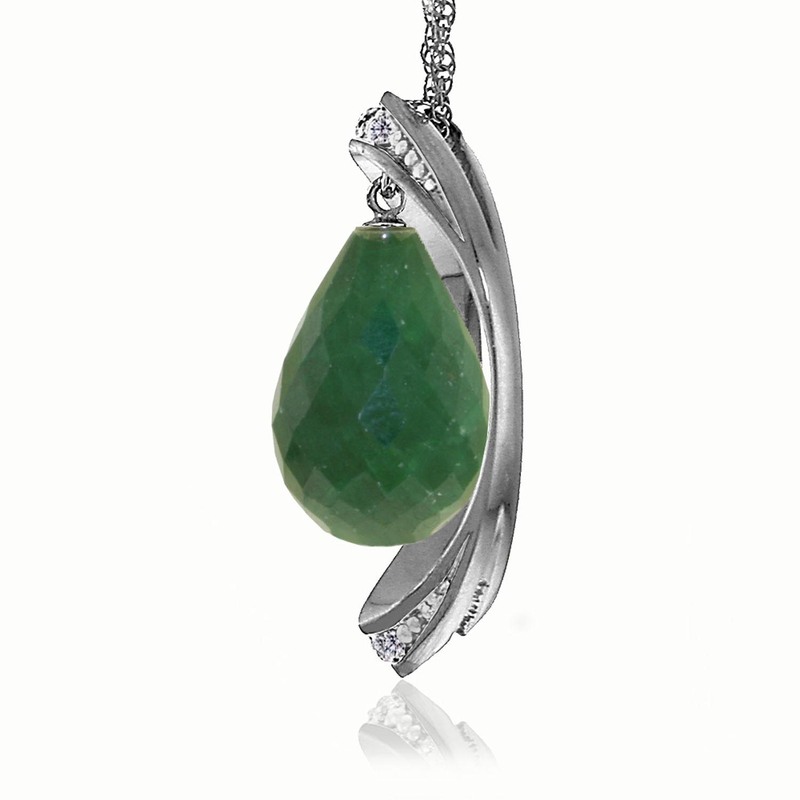 Emerald & diamond necklace handcrafted in solid 9 carat white gold. Single 13.5 ct natural emerald, six diamonds, SI-1/G, total 0.1 ct. Briolette cut. Pendant suspended from white gold double link rope chain with spring clasp, length options from 14" to 24". Available chain thickness 0.68 mm (pictured) and 1.15 mm. 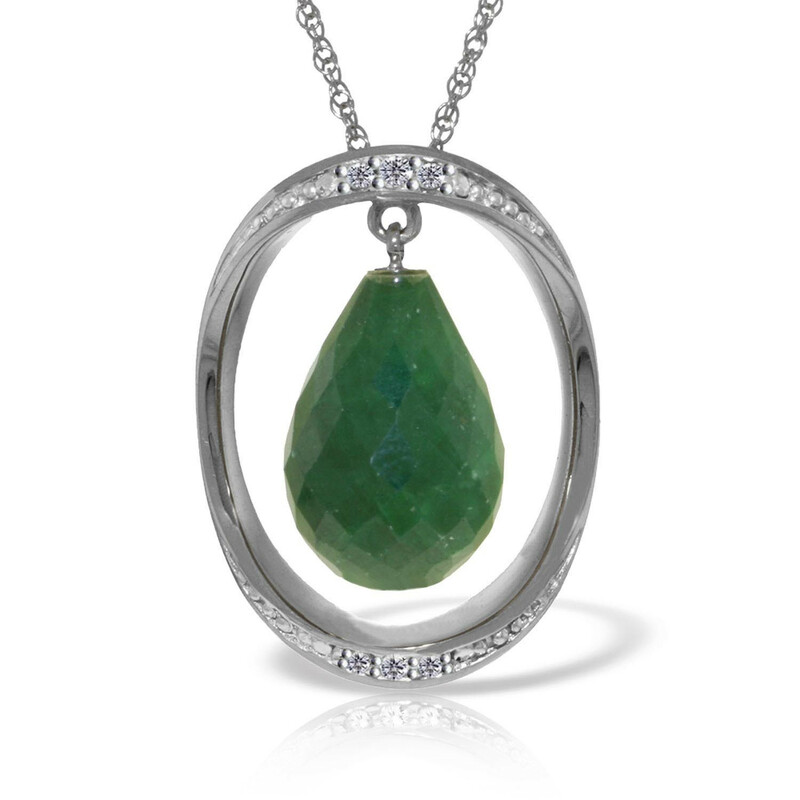 This is a gift for my wife, our emerald wedding anniversary, and she is really delighted with it. Hopefully, it will remain in the family for many years to come.